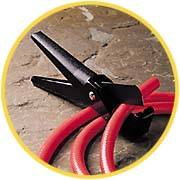 NewAge Industries is a manufacturer and fabricator of flexible tubing and hose and a private-label reseller of fittings and clamps. 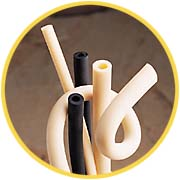 They produce and stock large quantities of a wide variety of plastic and rubber tubing, plastic and rubber hose, fittings, and clamps for same day shipment. 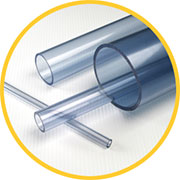 Materials that meet FDA, 3A, NSF, USP Class VI, and other requirements include PVC, silicone, polyurethane, fluoropolymer, TPR (thermoplastic rubber), TPE (thermoplastic elastomer), latex, nylon, polypropylene, polyethylene, and more. 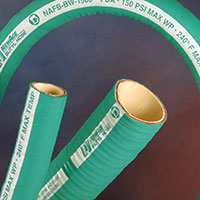 Tubing and hose styles are available in unreinforced tubing, corrugated or convoluted tubing, and braid-reinforced hose for extra strength and pressure capabilities. 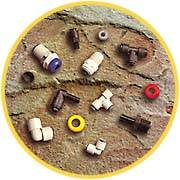 NewAge Industries also offers an array of fittings and clamps to accompany its tubing and hose. Their capabilities for custom extrusions, fabrications (coiling, heat formed shapes, tubing and hose cut to specified lengths, thermal tube bonding), and hose assemblies help make them an industry leader. NewAge's sanitary products division, AdvantaPure®, manufactures high purity tubing & hose and single-use systems for the pharmaceutical, biomedical, food and beverage, chemical, cosmetic, and other high purity industries. 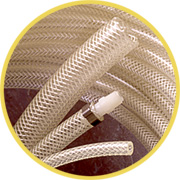 Products include: platinum cured Class VI silicone tubing and hose; single-use process solutions to the biopharmaceutical industry - molded silicone components, manifolds and assemblies; AdvantaFlex® Biopharmaceutical Grade TPE tubing; rubber covered FEP & EPDM hoses; stainless steel overbraided PTFE hose.